This bidirectional custom-developed interface suports criteria based data transfer from Sage 300 to retail POS software LS One. Data transfer is implemented using intermediary (staging) database. 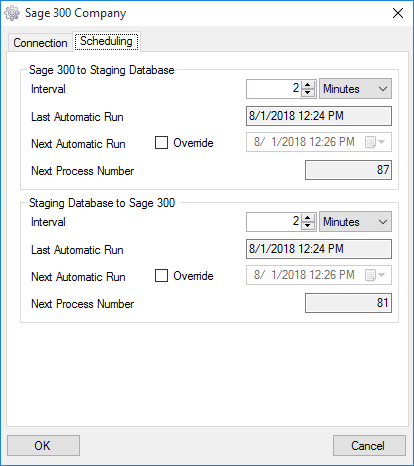 The customization transfers the following data form Sage 300 to staging database: A/R Customers, I/C Items, I/C Locations, Tax and Bank information. The application also automatically creates O/E Shipment/Invoice and A/R Receipt transactions based on the information availabe in the staging database. This interface supports both manual and scheduled automatic data transfer using designated Windows Service.